1,254 sq. 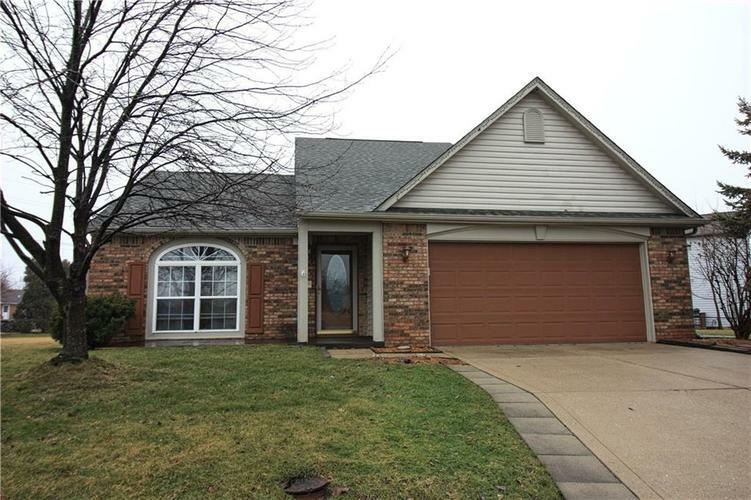 ft., 1.5 story home with a heated & cooled 2 car, finished garage in Franklin Township Schools. Main level master bedroom with a tub/shower & walk-in closet. Updated kitchen with white cabinets, tile backsplash, newer counter-tops, appliances stay. Enjoy the large yard, covered patio area on a cul-de-sac lot. Great Room has woodburning fireplace & cathedral ceiling. New neutral, interior paint & upgraded carpet. Close to interstate, shopping, and food. Directions:From Arlington & Thompson, go north to Arlington Meadows to first street on left.